Thread: What was your first bike? My first bike was old and rusty. My grandfather kept 2 bicycles of the Schwinn brand and was very proud of one of them. He spoke mostly about the AeroCycle bike with streamlined fenders, an imitation "gas tank", a streamlined, chrome-plated headlight, and a push-button bicycle bell as (Invalid img). It was incredible to see all this on a bicycle and it looked more like a light motorcycle. The second bike was Varsity Tourist, and it had a lot of speed gears as My older brother and uncle took the bikes down to the smallest cogs and removed the rust. After that, they collected these two bicycles at the auto repair shop and it turned out that many parts had to be replaced. In any case, my brother got a cool and fresh-painted bike for several speeds, which even switched. And I got a miracle like more on a motorcycle than on a bicycle. Imagine a vehicle with streamlined fenders, an imitation "gas tank". 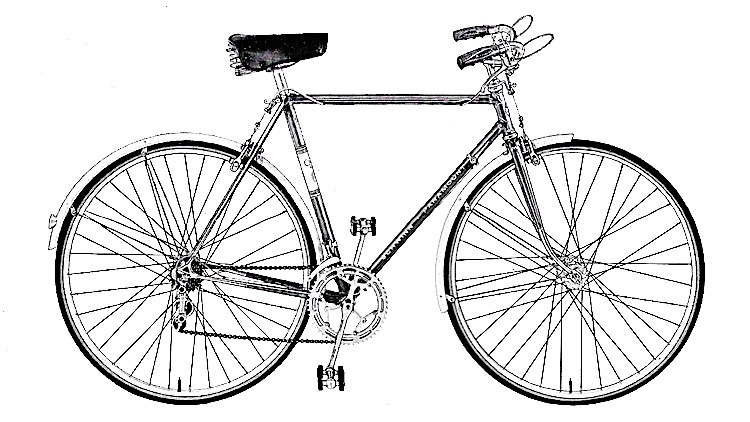 My bike had a streamlined chrome-plated headlight, and a push-button bicycle bell as well. My bike had balloon tires much wider than usual and they provided a soft ride. legendary Ignaz Schwinn, which for the first time made the 2.125-inch-wide rim, and later organized the production of this strange AeroCycle bike back in 1933. My first bike was a Schwinn with the tall handlebars, banana seat and tall sissy bar.